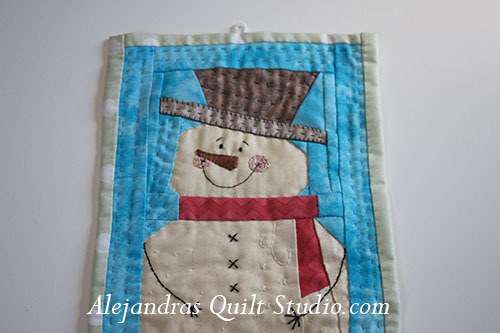 I just finished this Snowman Mini Quilt, in time for Christmas! I found an e-mail on my mail box this week from Amy Ellis, on this e-mail she is calling to quilters around the world to share their work. 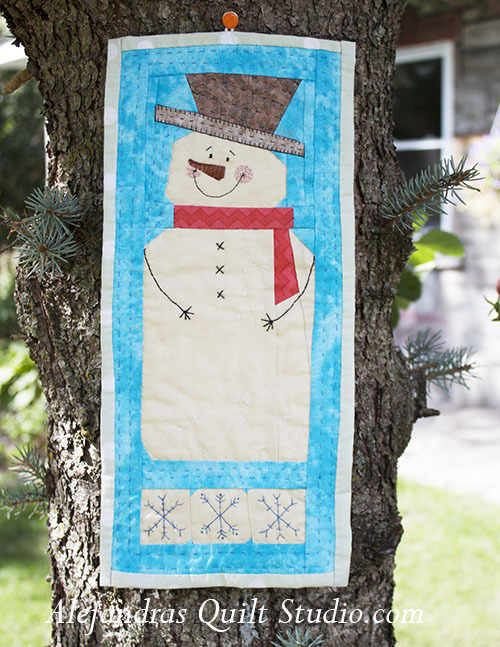 I thought it would be nice to share with you all this cute little Snowman, in different color this time, blue for the background and beige for the snowman, it makes it a little different, but it keeps the joy only a Snowman can shares. Hope you like this mini quilt, it is only 14 x 6.5 inches. 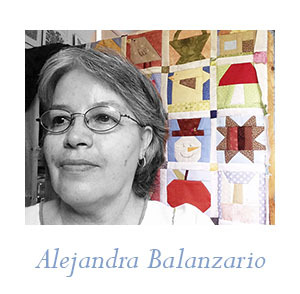 Paper Piecing. You can vote for this mini quilt here, thanks so much for your vote!